With the expansion of Mumbai, there is a greater chance of restaurants opening up in the suburbs starting from Bandra and going right up to Kandivali in the west, or up to Thane in the east. Yet, Churchgate has held its own with people still coming from various parts of the city to sample food at some iconic restaurants, as well as the new crop that’s taken shelter in Olde Bombay. Here are some of our favourites from that part. Originally called Jazz By The Bay, and then Not Just Jazz by the Bay, Pizza by the Bay has always been a fancy-ish diner overlooking the sea. Enjoy some thin crust pizzas, along with healthy salads and desserts. Oh, and don’t forget to take a walk on Marine Drive after. If you’re visiting for brekkie, they have a great selection of healthy options, so you’re totally sorted. Whether you’re a tourist or a city dweller, you must visit the Dome. An open-air restaurant, you should book the table with the view of Marine Drive much in advance. A good glass of wine and the perfect view will just add to the experience. Another one of Riyaz Amlani’s creations, Salt Water Cafe is the amalgamation of a deli and a fine dining restaurant. The food has always been great, and it’s one of those places you should visit to celebrate something big, ‘cause we sure do! One of the best Asian restaurants in the area, Umame is popular amongst those who live in SoBo, primarily because it also has Jain variants of the cuisine available. Also, it is a fine dining experience that you must experience at least once in the city. The venue draws inspiration from the Gothic architecture around and boasts of a wonderful staff. Also, people suggest that it’s more vegetarian-friendly, but who’s complaining? The waffles and shakes are two things that make us happy. Very happy. 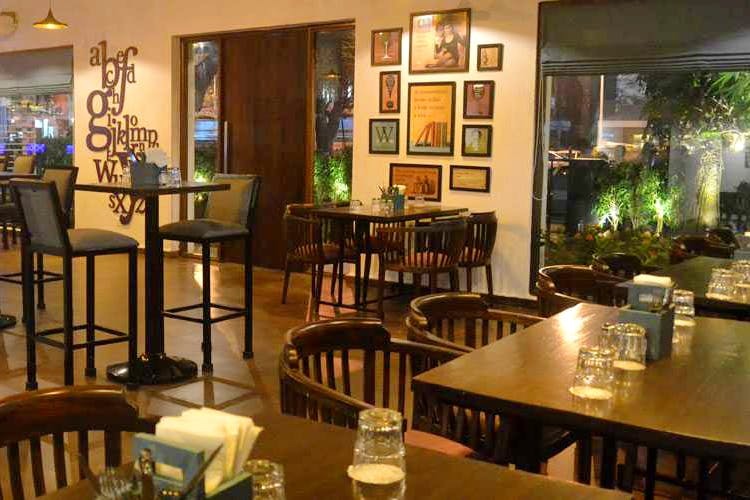 Located a stone’s throw away from Churchgate station, Mockingbird Cafe has managed to hold its own despite being alongside some of the oldest restaurants in the city. It’s considered a must-visit especially if you want a peaceful time with loved ones. For the sake of nostalgia, visit Gaylord (bakery included), Kamling and Stadium Restaurant – some of the most iconic eateries in the city that let you embrace the feeling of Bombay in an ever-developing Mumbai.